If you ever wondered why we have an extra day in February, National Geographic Kids has the answer. Enjoy this Leap Day in this Leap Year. If you are a Facebook fan, lots of people who were born on this day are coming out of the woodwork, mostly to brag how much younger they are than the rest of us who have to celebrate birthdays every year. The 12-year-old has a new, annoying way to say good-night to me. She'll kiss me and hug me and chant, "I'm taller than you." Great post by Jennifer Crusie, about the underpinnings of writing stories with conflict, is on her blog, Argh Ink. It's from about a year ago, so the PDF she said she was creating of this speech should be available for download on another page. At first glance, I'd say that over 3/4ths are fiction or picture books and most of the nonfiction are biographies. The 100 "Greatest Books for Kids,"
I refer you to Elizabeth Bird's blog. 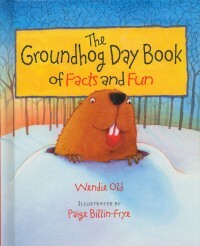 HOW-EVER, the Canadian groundhogs, Ontario's Wiarton Willie and Nova Scotia's Shubenacadia Sam, and New York City's Charles G. Hogg all predict that we'll have an early spring. 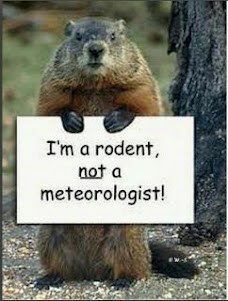 And here in Maryland, it's been cloudy all morning, so our groundhogs would also have not have seen their shadow. Does this mean that Maryland will see an early spring? On the other hand, people are quick to point out that the most horrendous snowstorms in this area usually hit in February. Oh goodie. Well, we are partially ready -- we have our snow shovels out of the storage shed and onto our back porch. We're ready, Mr. Winter. But where are you?